Box Dimensions (LxWxH) 9.1 x 5.5 x 5.4"
EF 24-105mm f/4L IS II USM Lens is rated 4.7 out of 5 by 85. Rated 5 out of 5 by Mark from MK I was good, MK II is fantastic!! I've used the 24-105 Mk I and it was a fine lens. After trying the Mk II, I was really impressed. I feel like the minority here, but I don't see the fascination of the 24-70 II. 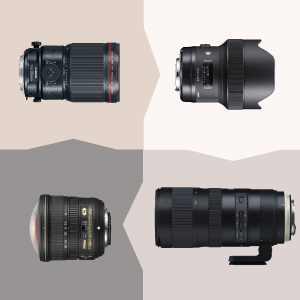 I have both lenses and the IS plus extra range is a huge benefit. I figured the image quality of the 24-70 would justify the cost with with the loss of IS/range, but to my eyes I don't notice a difference. Maybe a little after zooming in to 100% and viewing side-by-side, but even then it's close. I know you can pick up the Mk I cheap, but I would encourage anyone to just go for the new Mk II. This lens is a winner! Rated 5 out of 5 by Jim D from Best Walk Around in Canon Arsenal Pro photographer in Atlanta...used the 2.8 24-70 until a recent trip to Rome where the intention was to use only one lens (landscapes, building, museums, artwork, etc.) with all the walking..70mm is slightly too short, so bought and used the 24-105. Worked perfectly. No low light problems. Results comparable to the 2.8. Very flexible. I'm pleased and w probably replace the 24-70 with the new one as the walk around lens in the future. Rated 5 out of 5 by Frank from Good all purpose lens. I have this lens on my 5DM4 and it's a good all purpose walk-around lens. I do have the older version on my 5DM3. And compared to the older version, it's just a tad better in image quality and it seems to be a little bigger and a bit heaver too. Like all other L lenses, build quality is very good; I like the new zoom locking feature. However, I wish Canon would have improved the image quality a little more to match the 24-70mm F2.8L II lens but then again this lens is a lot less money. All-in-all, it's worth the extra $$ for this upgrade over the older lens. Rated 4 out of 5 by Kevin from All around champ. This is definitely the first L lens you should buy if you are looking to upgrade into the world of the red ring. It's not the fastest lens at f4, however the sharpness when stopped at 5.6 and above is astounding. And with a 24 to 105 focal length range covered, the lens is one of the most versatile L lenses available. Anyone who says a kit 18-135mm f/3.5-5.6 can outperform this lens needs to seriously re-think photography as a hobby. Rated 4 out of 5 by John from A fine lens, but I chose not to keep it. I've been anticipating the release of this lens after being greatly impressed by the qualitative improvement of Canon lenses over the past few years. I gaspedliterallywhen I made test photos with the 100-400mm MkII zoom, and the 16-35mm f/4 IS lenses last year. I expected similarly to be impressed with the new 24-105 MkII zoom as a replacement for the original version of the lens. I want to be clear that the new lens is very good but after extensive side-by-side testing of the old and new lenses, I decided to stick with my old 24-105mm Canon zoom. The new lens is not the game changer I had hoped for. That said, I also returned the 5DMkIV after finding that the sensor quality was not a dramatic improvement over either the 5DMkIII or 6D. I worship at the altar of quality and I'm happy to pay for it, but much of my older Canon gear continues to serve me well enough. Kudos to B&H for their liberal return policy, which I honor and respect. Rated 5 out of 5 by Alan from Happy to have the extra reach again! I owned the previous version of this lens and was reasonably happy with it. I sold it and bought the 24-70 f2.8 II for studio work on a camera stand. When I traveled though, I came to miss the extra reach of the 24-105 and the IS too. When the new model came out I bought it for travel. I do think it is sharper and causes fewer distortions but this is my feeling after using it for a month and not the result of some lab testing. Rated 5 out of 5 by Anonymous from B&H is the place for lenses I have used the Canon 24-105mm lens for years. When the newer model came out, I preordered at B&H, and it arrived about two weeks ago. Slightly longer and slightly heavier than the older model, it is worth the upgrade. As a stock photographer, my work has to be technically perfect, and the Canon 24-105mm, II paired with the Canon 5D Mark IV are fantastic to work with. Together, they produce excellent results. The reviewers of my images love the results too. Very clear, even at long range, and very fast focus. I am pleased, and sold my older lens on eBay. Keep on upgrading! Rated 5 out of 5 by Emily from Better Lens than I Anticipated I own the original version of this lens and always enjoyed using it but was rarely satisfied with the image quality. I purchased the new and improved model prior to going on a Caribbean cruise that included stops in Cuba. Since I was going to do a lot of street photography and Ive also developed mature hands that have some trouble holding a camera steady, I thought the new version with an extra stop of IS would be helpful. Helpful is an understatement. The extra stop of IS was a great plus and my images came back sharper than with the original lens. Even my low light images taken at the Tropicana were better than I anticipated. This is now my official go-to lens. Perfect range for street, portraits and low light photography. I took three lenses on the cruise and this is the only one I used. The Mark 1 version of this lens did not allow the C100 Mark 2's face detection AF feature. Will this one? This version with the image stabilizer in on the Canon Dual Pixel Auto Focus lens compatibility list. In other words, yes this will work. Is this lens made of plastic or metal? Wrong lens hood listed as in the box? Will this lens be a true f4 throughout as it's well known that the mk1 version loses light when zoomed? Is this lens compatible with a LANC controller? 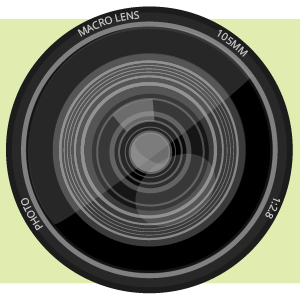 It depends not on the lens but whether the camera takes a LANC because this lens cannot take the LANC directly. Even then, the only thing possible would be focus, for no power zoom is possible with this lens through a LANC controlled camera. do it come with a lens hood? Yes, in the box is the Canon Lens Hood EW-83M for EF 24-105mm f/3.5-5.6 IS STM B&amp;H # CAEW83M. When did this lense come out what month and year? 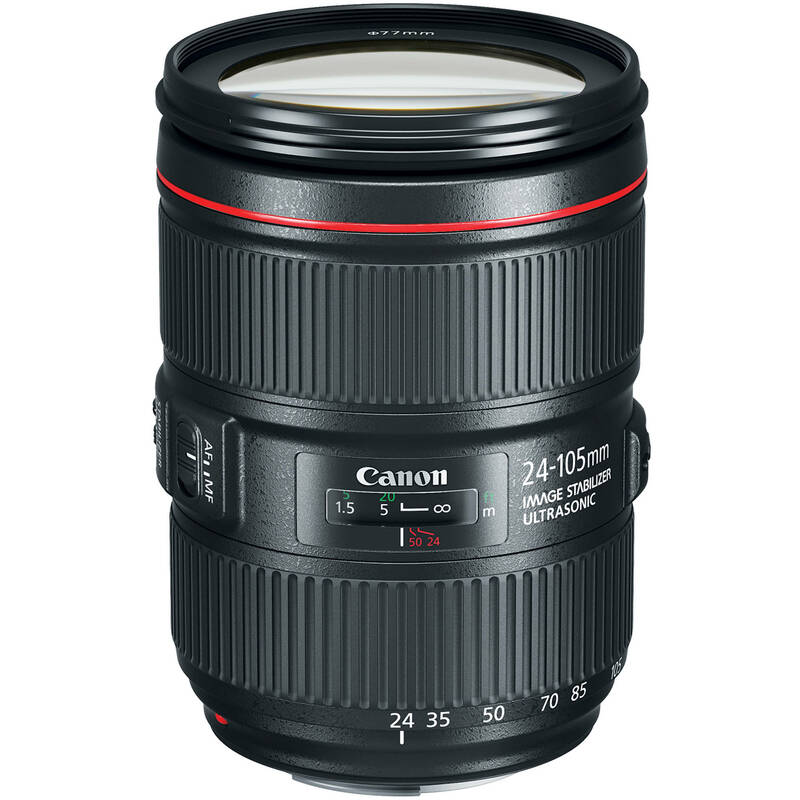 At this time, we estimate that the Canon EF 24-105mm f/4L IS II USM Lens will begin shipping Sat, Dec 10. Keep in mind that this is only an estimate, and release dates can be delayed.